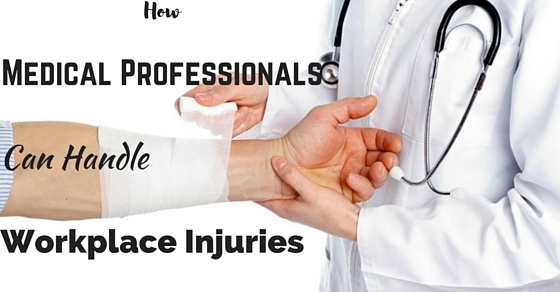 How Medical Professionals Can Handle Workplace Injuries? No profession is without its risks. Some professions, like logging or commercial fishing, have notoriously high injury and death rates. People know the dangers, but they pursue the profession because the pay check is good. Becoming a nurse or nurse’s assistant in a hospital, nursing home, or long-term care facility isn’t a fatal profession (unless you’re in a medical drama), but it is a dangerous one. The healthcare industry tends to experience twice as many preventable work-related injuries as private industries. According to a report on changes OSHA made to their healthcare safety guidelines by the University of Arizona’s Master of Science in Nursing department, in 2013 United States hospitals reported that for every 100 full-time nurses, “6.4 work-related injuries and illnesses” were reported. For the last few years, educational institutes, state and federal bodies, and workers’ rights groups have been slowly working to introduce bills and regulations that will tighten healthcare worker safety standards. Massachusetts currently has a bill pending that would require health care facilities to have a committee dedicated to overseeing safe patient handling policies and programs. And on a national level, the Nurse and Health Care Worker Protection Act is currently before congress. If the bill passes, U.S. Occupational Safety and Health Administration would be required to develop and implement safety provisions that would prohibit unsafe actions like trying to manually life patients. In the meantime, nurses will need to educate themselves on the prospective dangers that they will face in the workplace and try to find an employer that has a culture of workplace safety. The very concept of an unsafe work environment in a hospital, nursing home, or other care facility might seem a little unbelievable. Part of the problem is when the average person thinks of the healthcare industry, they think of public institutions dedicated to serving the people. A lot of health care establishments are privately owned franchises like CarePatrol or BrightStar Care. Unfortunately big, private franchises aren’t always the best at keeping the safety of their employees in mind when faced with the potential to make a profit. And even public health care facilities need to watch the books. This can be harder than ever with many states cutting funding to public hospitals. It’s hard enough to provide good patient care, let alone provide good care while maintaining a safe work environment when some hospitals budget have been cut up to 25% in some places. It’s the health care administrator’s duty to balance their fiscal responsibility with the ethics of maintaining a safe work place. And health care administrators don’t always make the right call especially if they have pressure from public hospital boards or private franchise owners to cut costs. HealthLeaders Media reports that many hospitals don’t believe that they have the money to purchase technology that would increase the safety of their nurses. Ceiling lifts, for example, would prevent nurses from having to maneuver patients that weigh hundreds of pounds. (A disaster weighting to happen). The device alone costs anywhere from $2000 to $4000 and then the hospital would need to pay, to have it installed. Due to the cost, I don’t believe that many healthcare establishments will purchase these career saving devices until they become cheaper or they are forced to by state or national law. What Can You Do To Protect Yourself From Personal Injury? Since you can’t always trust healthcare establishments and managers to keep your safety in mind, I would recommend that every healthcare worker needs to keep a careful eye on how much risk their job puts them in. A 2005 study examined the relationship between staffing levels and nursing homes. After examining the number of injuries at 445 nursing homes in 3 states, they found that “nursing home staffing levels have an important impact on workers health.” The more people on staff, the lower your patient load, and the lower the chance you will be injured while on duty. Keep track of how many employees are injured on a daily, weekly, yearly basis. If the number is obscenely high and management doesn’t make any moves to correct the problem, it might be time to jump ship. Knowledge is power. Safety training can go a long way to ensure that you won’t acquire a severe injury that leaves you unable to work in healthcare. Free guides like this one to prevent back injury can be found on the internet. If the mangers and company won’t implement safety training classes, you should take time out of work to educate yourself on basic injury prevention principles. Figure out what potential injuries will be most likely to happen and look for free resources online to teach you what not to do. If a manager wants you to do something and it’s not a life or death situation that might cause injury, don’t be afraid to refuse. If the task is against OSHA’s safety standards firing you over the refusal would be wrongful termination. If it isn’t against OSHA’s safety standards, try explaining exactly how the task might be unsafe. If they still fire you, then you are probably better off without them. My mom worked at a nursing home where the problem wasn’t lack of tech or general safety standards. The problem was that in a bid to do the least amount of work possible the employees didn’t help each other utilize the lifting equipment properly. My mom got hurt working a lifting machine that was supposed to have two people to work it. If you do work in an environment where management and employees don’t care enough to uphold safety standards, try to find a few other people who will work with you to keep each other safe. Working in healthcare today is not as safe of choice as people assume. The ridiculously high rate of work place injury means that many professionals who work in healthcare become too injured to continue working in the profession. State and federal laws are slowly working to fix this problem. Until the problem is fixed, everyone entering the healthcare field should try to ensure they work in a safe environment as possible.